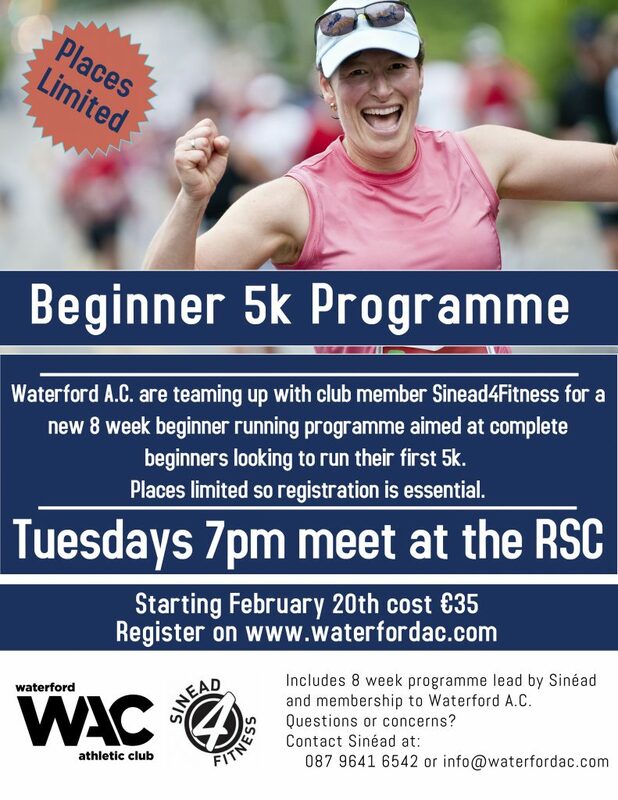 Waterford A.C. are teaming up with club member Sinead4Fitness for a new 8 week beginner running programme aimed at complete beginners looking to run their first 5k. Places are limited so registration is essential. Use the form below to register. Starts Tuesday February 20th at 7pm meeting in the RSC car park. Each session will be lead by club member Sinéad Brannigan. 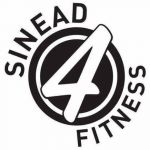 Sinéad is a fully qualified fitness instructor and has lead a number of successful beginner and improver running programs in the city. Signing up for this 8 week programme also includes membership with Waterford A.C. This comes with many benefits including insurance for training sessions, discount at Alfie Hales sports shop for all your running needs, subsidised use of the track in the RSC, reduced rates at our club training sessions, and access to other fitness courses we run throughout the year. It also makes you a member of our almost 400 strong community of athletes and coaches of all ages and abilities.